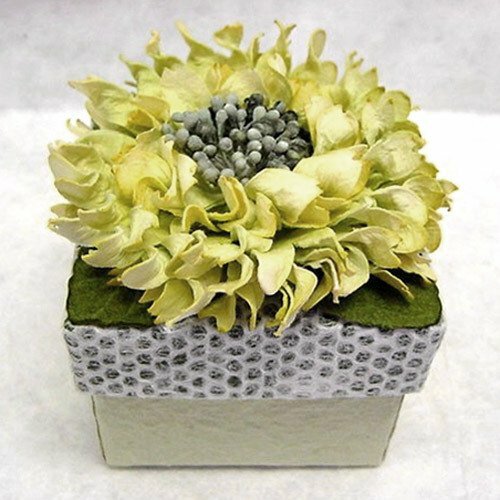 The gorgeous, mulberry paper favor boxes are stunning in their beauty and sturdy in construction, so guests will be able to take them home and continue to use them to house anything from paperclips to jewelry. 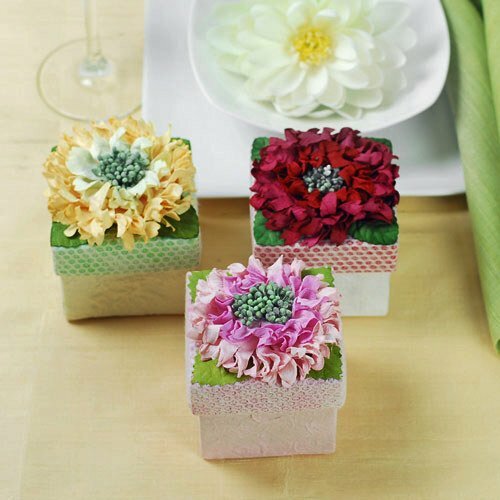 As a favor for your next party, fill these beautifully decorated boxes with homemade candy, cookies, or the traditional Jordan almonds. 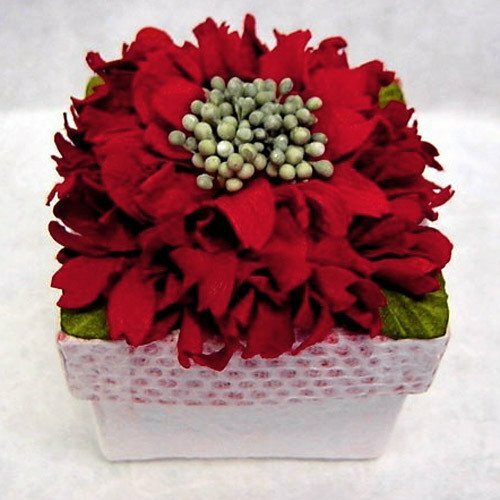 Other great gift ideas to include are small, decorative soaps, bath salts, or a floral-scented candle. 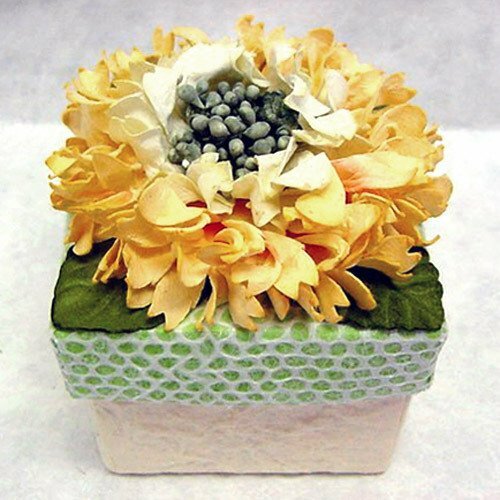 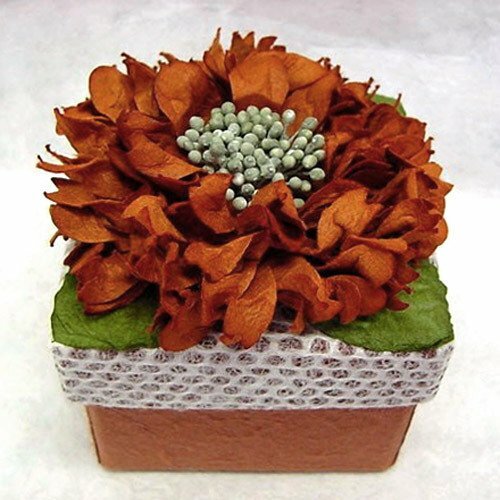 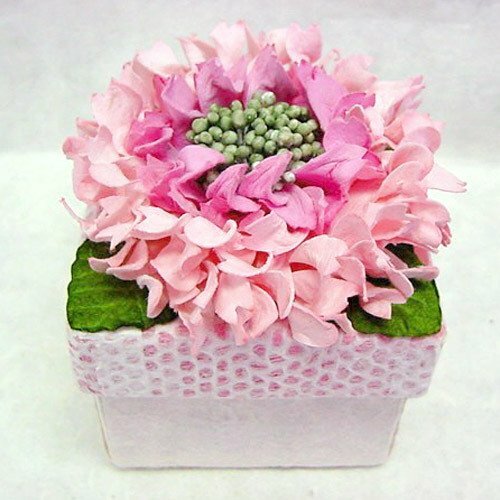 Topped with a beautifully handcrafted paper flower, each box measures 2.75"L x 2.75"W x 2.5"H (not including flower). 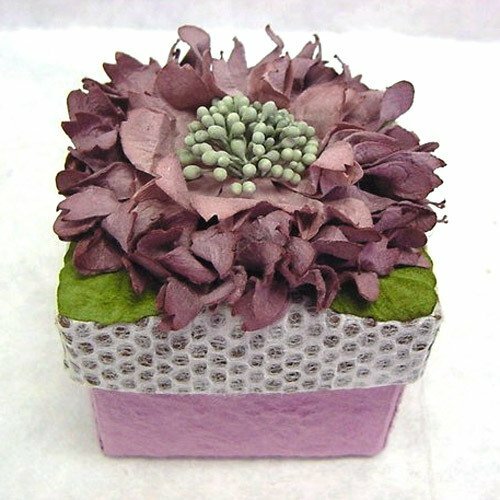 Available in pink, yellow, red, purple, green and brown.